Claptone brings his The Masquerade event to Ibiza for the first time on Sunday 31st July, making the party’s debut on the White Isle at Amnesia. And the Different Recordings’ artist is giving one lucky fan and a friend the chance to win flights, hotel and entry to the show this weekend. The winner and their guest must be 18 or over, hold a full passport and be able to make their way to and from the airport. 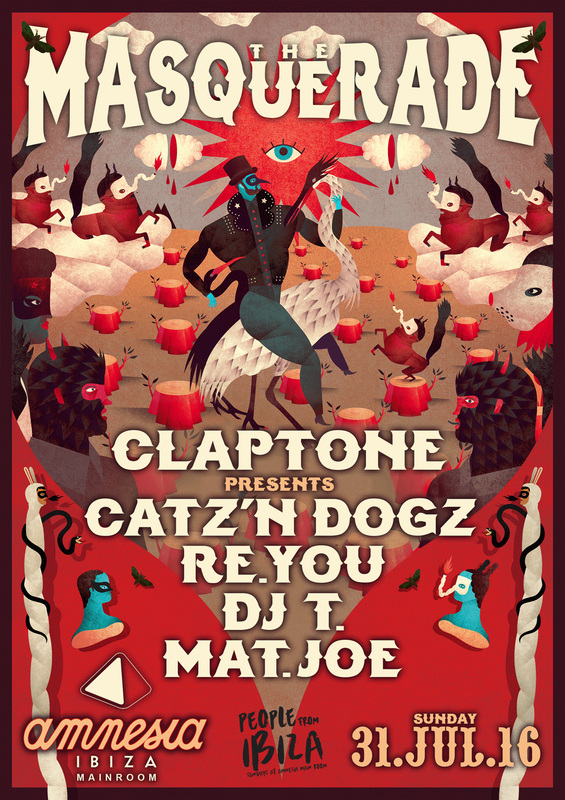 All you have to do to be in with a chance of winning is tell us your favourite Claptone track or remix. Send your choice to competition@djmag.com with your name, email, telephone number and local airport. We’ll choose a winner at random at 5pm on Thursday 28th July. You can watch the teaser video from Claptone’s The Masqeurade event in Barcelona below, see full details of its Ibiza debut below that, listen to his debut album ‘Charmer’ on Spotify, and head to the event’s Facebook page for more info.